Spare Evinrude 4hp on board. Unknown condition. Length of chain is appx. A very affordable introduction for a first time buyer from a very experienced design stable. 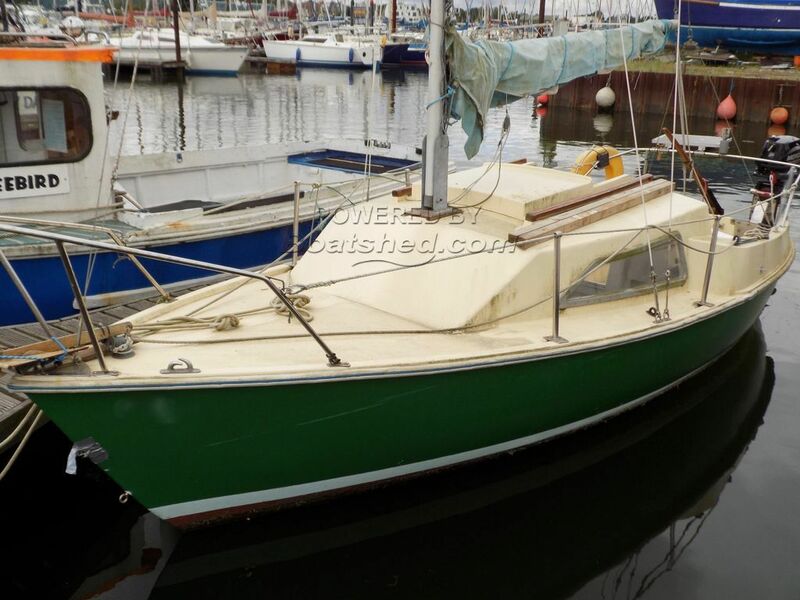 The trailer may be in need of attention and there is a small amount of damage to the bow of the vessel, however this is reflected in the asking price. Well worth a viewing. This Ridgeway Pirate With Trailer has been personally photographed and viewed by Geoff Jaquest of Boatshed Suffolk. Click here for contact details. Please note this comments section is public. Please do not post your personal details here. To enquire about purchasing this boat, please contact the broker directly at geoffjaquest@boatshedsuffolk.com. Please read our commenting guidelines before posting.